Southbank Original BBQ is known for real slow, smoked barbeque and is strategically located on the banks of the Fox River. Their smoker is running non-stop 7 days a week. Open late until 10 each night to serve up exceptional wood cooked barbeque and other meaty favorites. The menu features delicious specialties such as baby back ribs, tri-tip beef, steak nights, and crawfish boils. 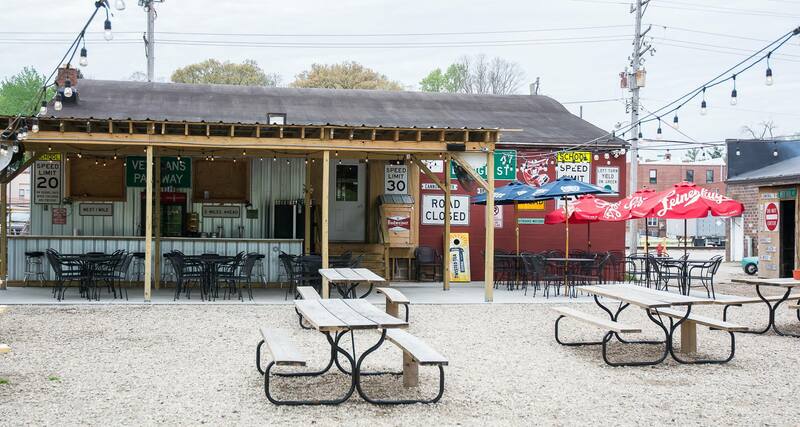 This is a casual BBQ joint where everything is wood cooked competition-style. All meats are smoked low and slow over oak and hickory. The sauces are unique, homemade, and self-served to your liking. Additionally, most seating is outdoors on the patio along the river, making for a relaxing and rustic dining experience. Greg Freeman, owner of Freeman's Sports Inc. and the building where Southbank Original Barbecue is located calls it "Beer, Bait & Barbecue" because he will still be offering fishing supplies and limited canoe rentals in the small store partitioned off to the left of the restaurant. Freeman's has been in that location for 45 years. Be sure to stop into Southbank Original BBQ today.